Earlier in the term the Leaving Cert LCVP class organised a Valentine’s Day Disco for the first and second year students. It was held in the afternoon and run and supervised by the senior students with help from their teachers. The event was a great success and the junior students had a ball! It was also nice for them to chat with and get to know the Leaving Cert students. A small entrance fee was charged and the money was to go to the North West Hospice. 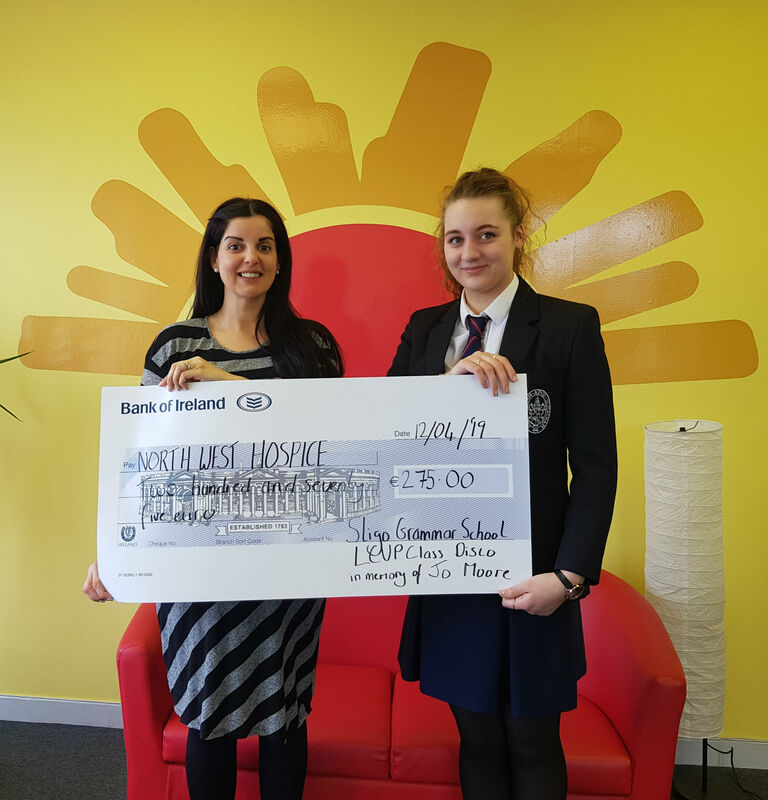 Just before Easter, one of the Leaving Cert students, Scarlett Moore, presented the cheque on behalf of her class. The donation was in memory of Scarlett’s late beloved mother, Jo, who was very well cared for at the Hospice.